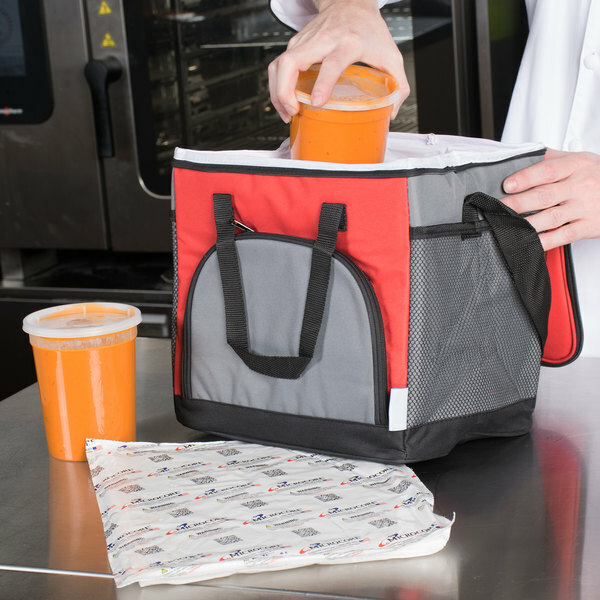 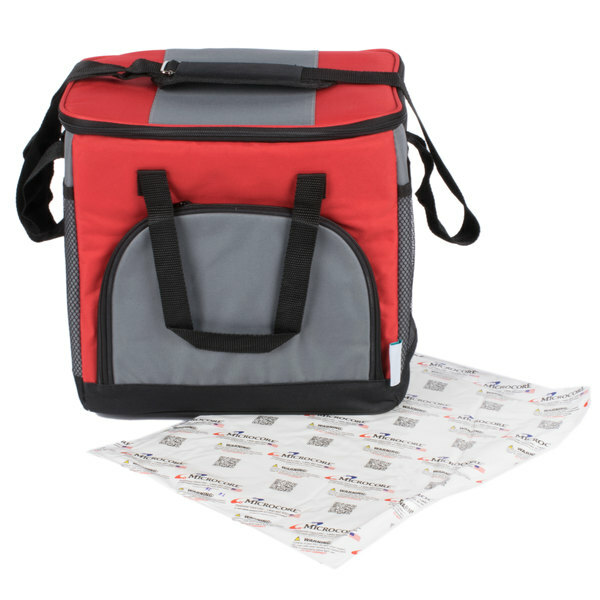 Choice Insulated Food Delivery Bag / Soft Sided Pan Carrier with Foam Freeze Pack Kit, Red Nylon, 23" x 13" x 15"
Transport your foods and drinks with this Choice soft sided 12" x 9" x 11 1/2" red 24 can insulated cooler with Microcore thermal hot or cold pack kit! 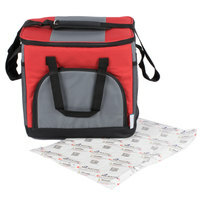 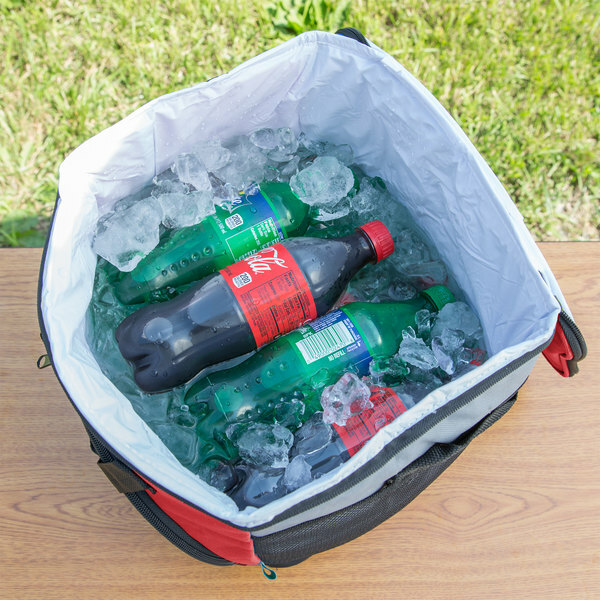 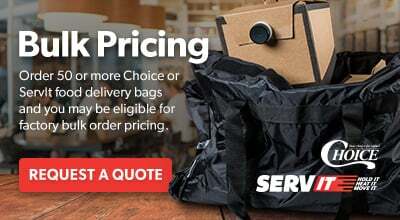 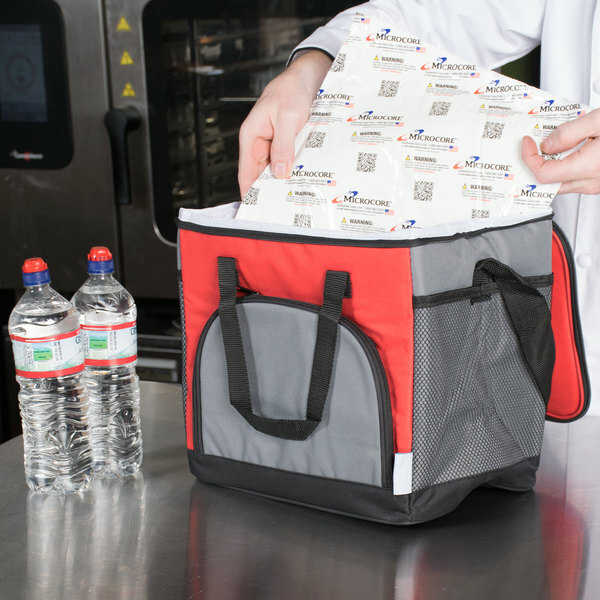 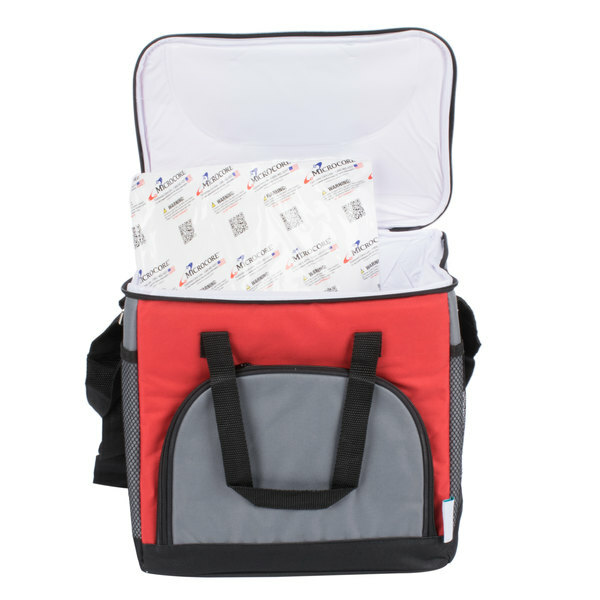 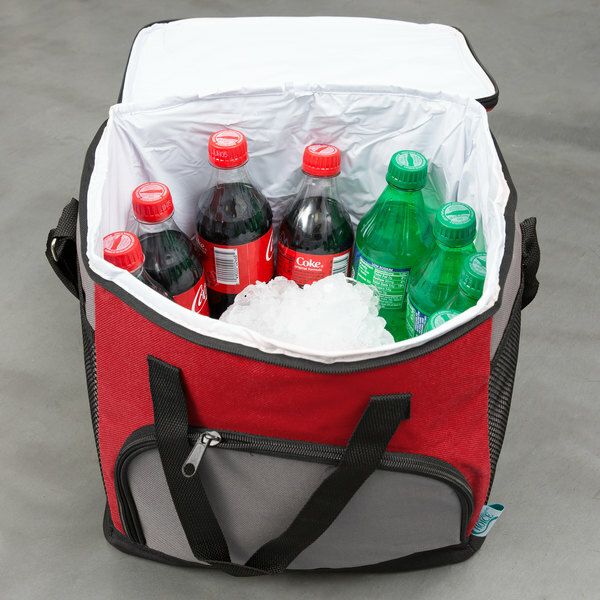 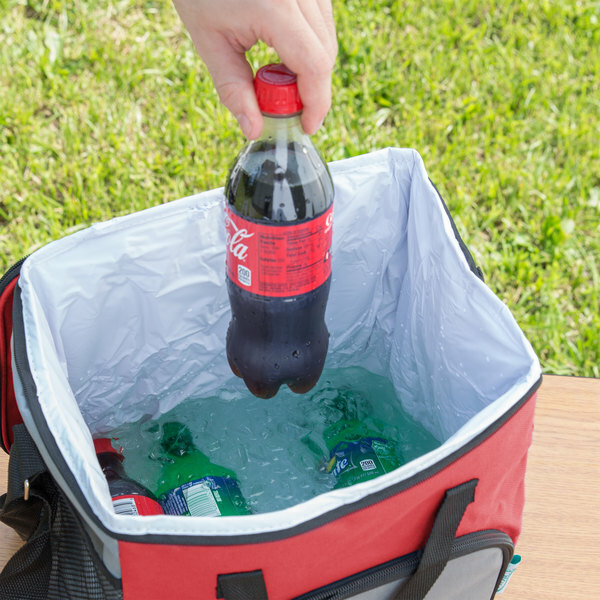 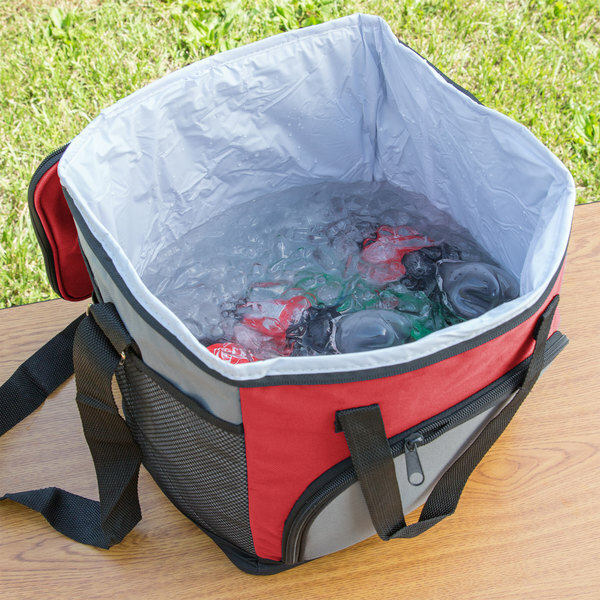 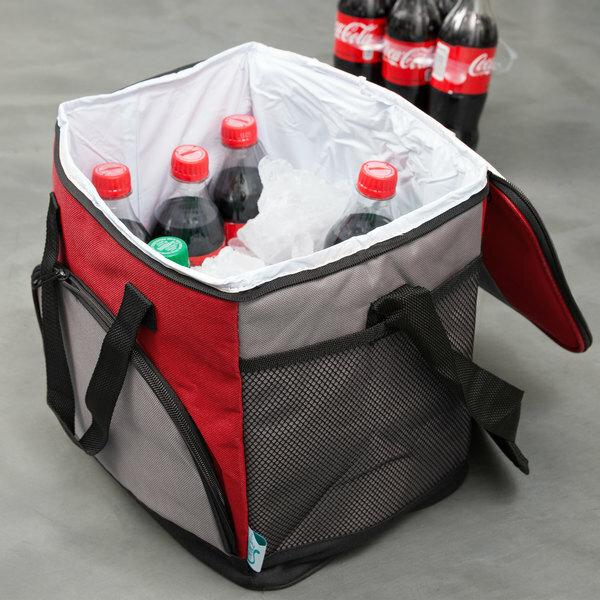 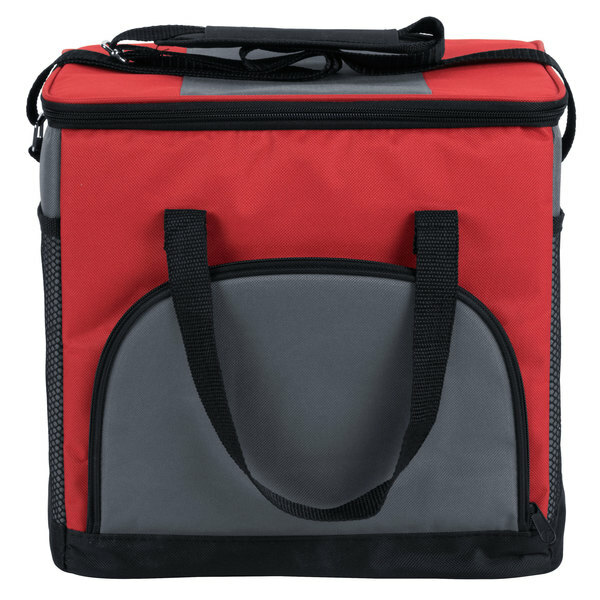 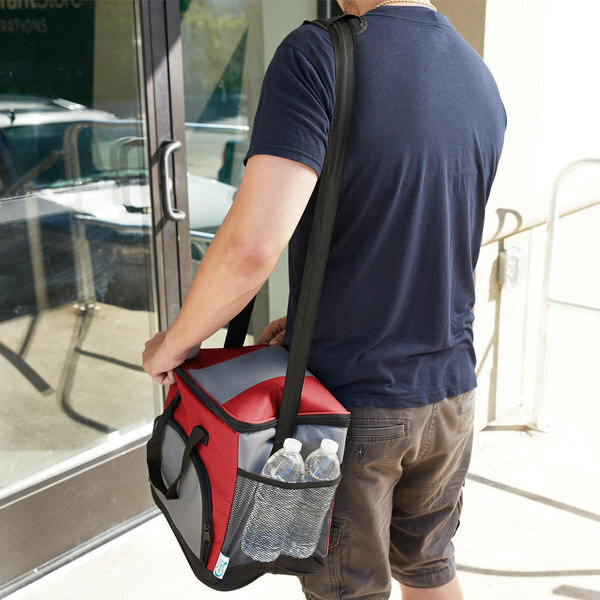 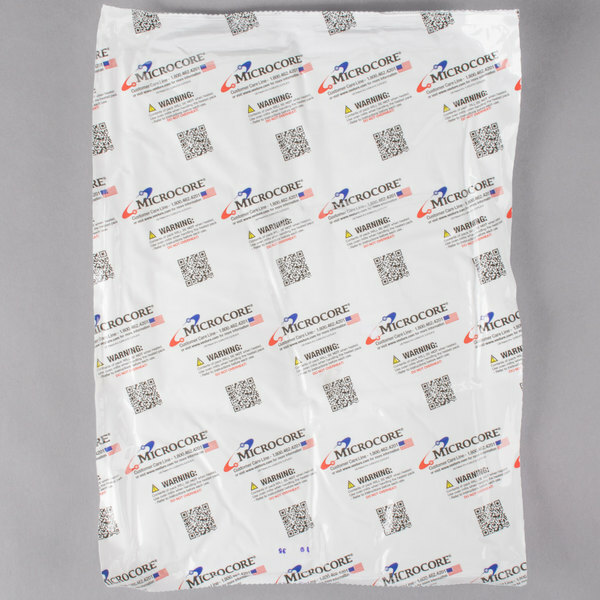 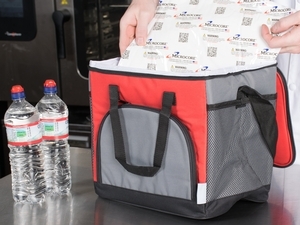 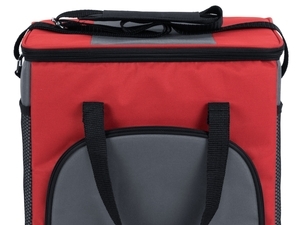 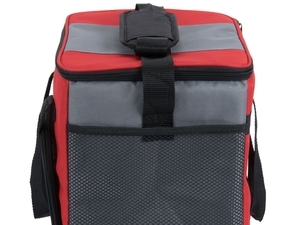 Perfect for your next outdoor recreational gathering or catering event, this Choice soft-sided insulated red cooler bag and Microcore hot or cold pack kit will keep your beverages and food items at just the right temperature. 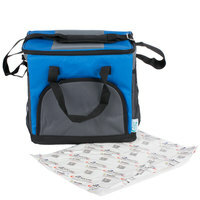 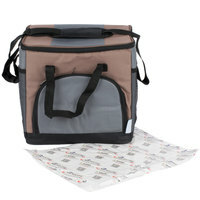 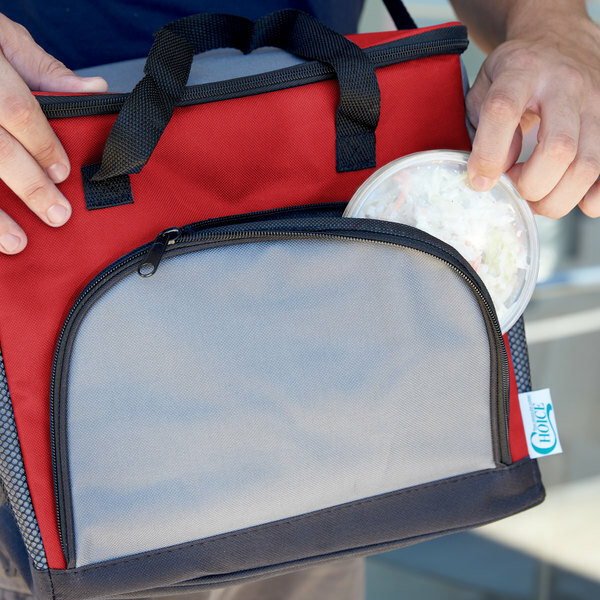 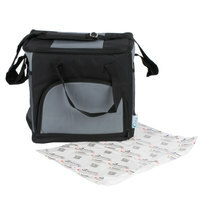 This bag, along with the freezer pack placed along the side, is designed to hold and keep 24 cold cans chilled and ready to serve. 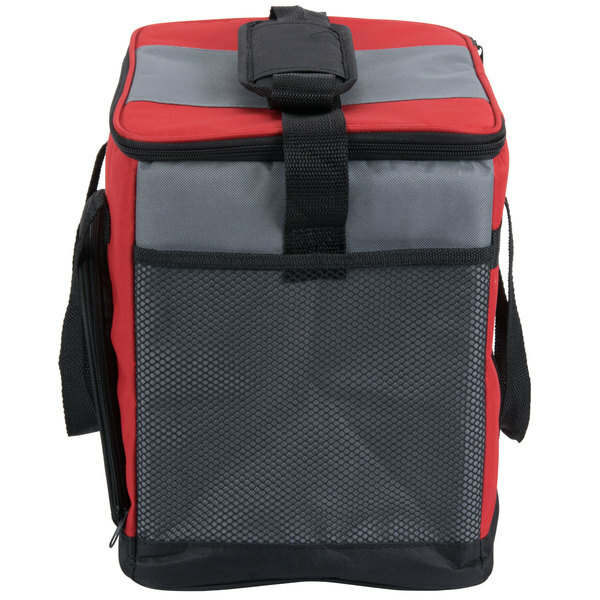 This bag's durable nylon construction is built to last, while the red color has a stylish, sleek look. 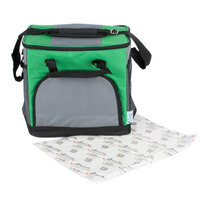 Mix and match it with other colors (sold separately) to specify food contents. 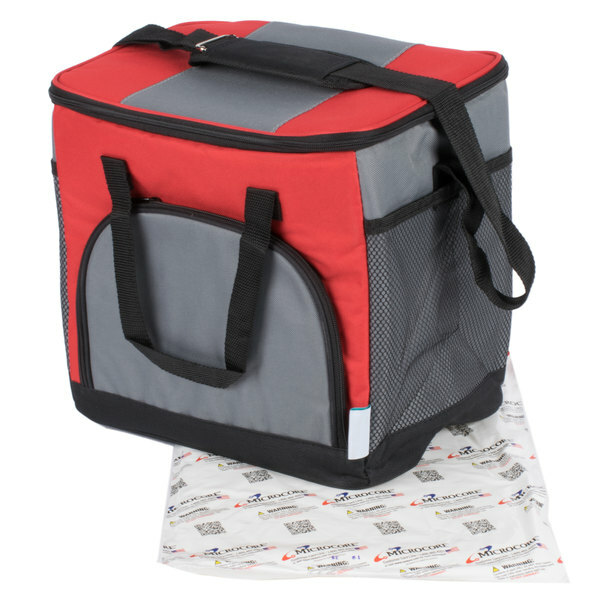 Choice Insulated Food Delivery Bag / Pan Carrier with Microcore Thermal Hot or Cold Pack Kit, Red Nylon, 23" x 13" x 15"
Choice Insulated Delivery Bag, Soft-Sided Sandwich / Take-Out Hot / Cold Delivery Bag, Red Nylon, 15" x 12" x 12"